SABC PLANS TO RETRENCH WORKERS! 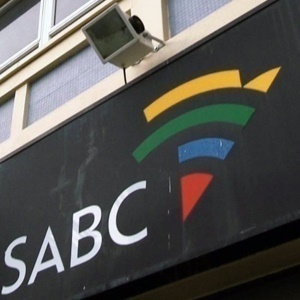 The South African Broadcasting Corporation (SABC) management is planning to embark on retrenchment processes, an internal memo shows. However, newly-appointed SABC spokesperson Neo Momodu said the word "retrenchment" was not even in the corporation's vocabulary. "We have communicated to our staff of intentions to start engagements with unions in relation to the cost-cutting measures that we have been going through as the corporation," Momodu said. On Thursday, the financially-stricken broadcaster sent out an internal statement to employees informing them that it had met with the leadership of organised labour to inform [them] that it planned on undertaking retrenchment processes in terms of section 189 of the Labour Relations Act. "The next step is for the SABC to engage in joint consensus seeking consultations with organised labour. We will keep all employees informed of developments relating to this process," the statement read. But Momodu said: "We are not saying we [are] there yet. We are contemplating it." "We have communicated to our staff of intentions to start engagements with unions in relation to the cost-cutting measures that we have been going through as the corporation." She said the meeting with unions on Thursday was to inform them that the broadcaster had been looking at various ways of cutting costs, and was now "contemplating further cost-cutting measures, which may include section 189". "It's a contemplation and we told the unions that we had done all we can to cut costs in all the areas of the corporation...," she said. Momodu added that for the past few months, the corporation had done all it could to cut costs and was now at a stage where it was looking at other measures. In August, Mxakwe said that the broadcaster had "serious liquidity challenges", News24 reported.